What Does Broken Life Line Indicate? Yes. very much so. The problems in her family started few years back,( 2to 3 years) and it is going on increasing, as though there is no solution. At present the native is 45. Re: What Does Broken Life Line Indicate? saradhavijaya wrote: Yes. very much so. The problems in her family started few years back,( 2to 3 years) and it is going on increasing, as though there is no solution. At present the native is 45. Can you upload the pics please, if available and permitted. Even though the life line maybe short if the thumb is strong then that will be very helpful. I have found in so many cases, where the life line is short or fate line ending on head line and so many other indications people simply get frightened psychologically. If the thumb is strong then that will also help. 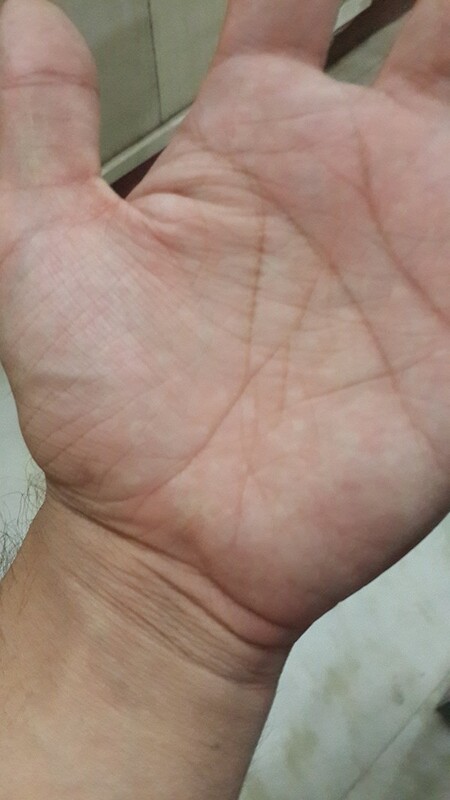 I have come across this type of Line , in one of my relatives palm. RH life line stops at 42; no supporting line; it continues after a gap of more than 5cms. She is under tremendous domestic pressure due to which she has developed acidity also. Sometimes she is depressed. Thank you Vijaya ji for sharing this. Did the domestic circumstances turned bad from 45 onwards? I have a broken life line on both hands, the difference is - on the left hand the break is longer - about 0.5cm, on the right hand - the break is about 0.2cm. 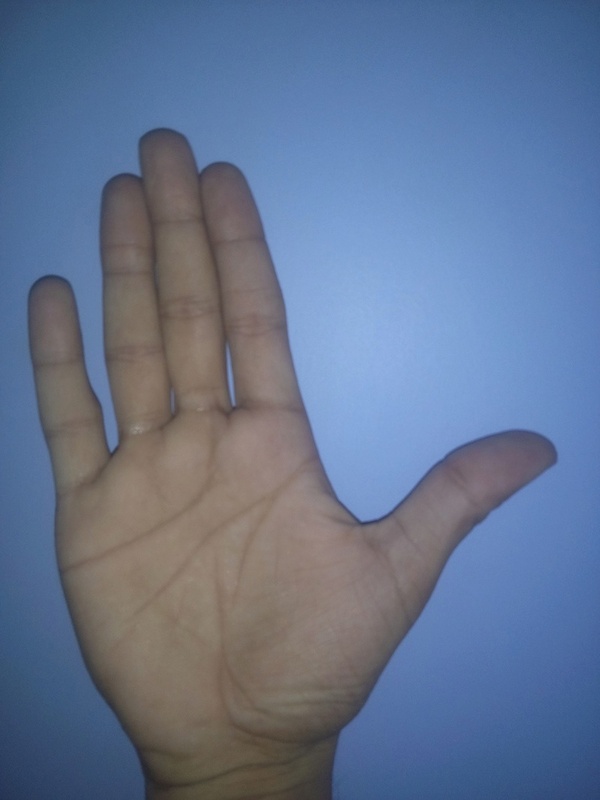 I have also a double of the life line - but it is more visible and deeper and longer on the left hand. Now I am 36, but since I was 30 something happened and my life fell apart. Ever since 2008, I am struggling, lots of difficulties, sorrow, diseases - for me, and my parents, and most of the time since 2008 I have to take care of my parents health problems. My question, if anyone would know and answer me is - looking at my palm lines - do you think - if I ever will see the sunshine again - have job, be successful in each meaning of the word. Thank you Priya for posting your pics. I suggest you to post your queries in different thread. In that way, you'll get answers to your queries and also this discussion is not diverted. I do not see any break in the life line in both the images or probably the images are so poor that it cannot be seen easily. Post better pictures. I really didn't mean at all to divert your discussion. Sorry if you see that way my post in your discussion. I already posted in another section, so if you really consider my post here totally inappropriate - please contact the forum admin and ask for their deletion. Thank you Priya. Yes, I understand that you didn't intended to be so. 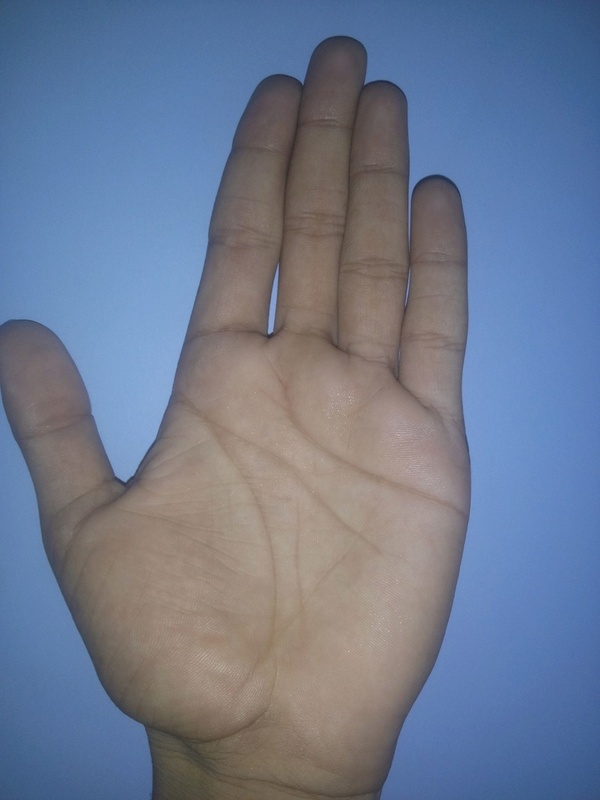 Plz tell me about my life.. i have uploaded my both hand pics. someone tell me if your lines are broken you will die at young age.. my age is 24. plz replay asap. As you go through this complete thread you will find that ending of life line may not mean Death at all. In your case one Life Line ends and another one overlaps at about 31/32. You will find change in head line also at the similar age i.e. one head line almost dims and another one starts slightly above. So change in your thought process. Your head line is the weakest in your palm (in the right palm) as compared to other main lines like Life, Heart and Fate so you need to work on your mental capabilities and improve your concentration and capability to use your brain for longer periods effectively. Meditation will definitely help you in this. My 20years old brother has broken life line. He had kidney related issues by birth but he is physically fine now. What would that mean? You should have gone through the readings above on broken life line. One life line ends and the other one takes over. So no problem. I did, there was a significant break in the right hand for some time which is disturbing. I would take it as a short life line. I I have to predict, these are the factors I consider. 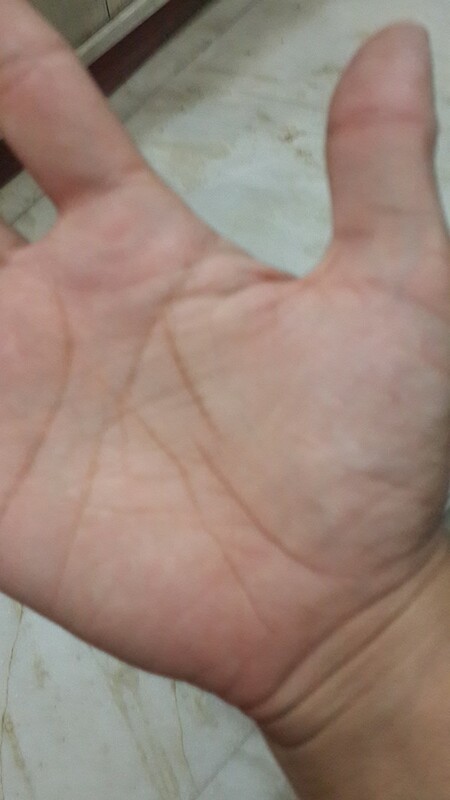 Life line in Left hand. Which looks good and prominent, promising long life. This hand has a short life line for sure. However, this close to merge in luck line. I think that the person may suffer close to death but high chances of survival. If this person has not reached to this age yet, there are chances this line go more closer to luck line, reducing severity of problem. Considering the other hand with good life there are high chances of survival. Once moved ahead of this age, this person will live long. can you suggest the age bracket, please. I am not good guessing age. May be 35-40. However, my intuition says the line will join the fate line and this person will live long.